Conor O’Malley (MacDougall) is a young boy reeling from the news that his mother (Jones) has a terminal illness. To help them cope, they draw a monster that could be their support. Suffering from constant attacks by the local bully, Conor doesn’t see any way out until, one night, he encounters a giant humanoid yew tree (Neeson), a real-life version of the Monster he drew with his mother. 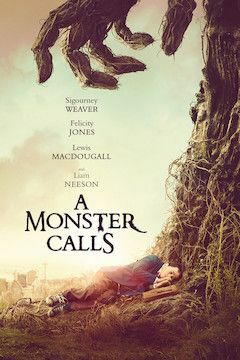 The Monster comes to tell him stories each night, and together, they begin to fix Conor’s unhappy life. The Monster teaches him about growing up and how to deal with anger and loss.